Printed and non printed POS rolls you can count on. 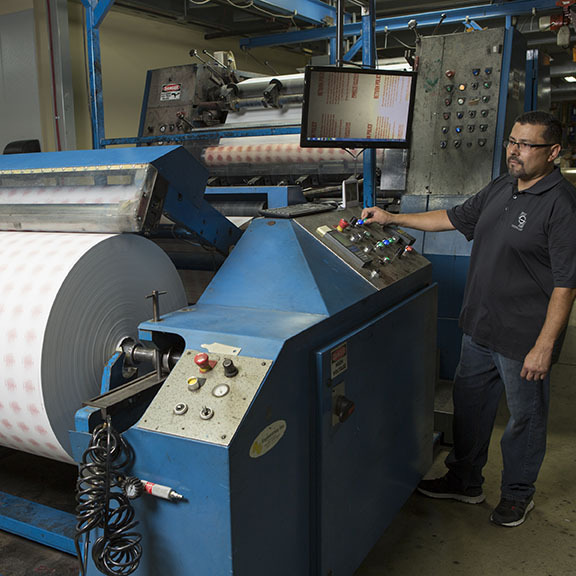 Whether you are in need of stock or custom, blank or printed thermal, bond and carbonless rolls we have you covered with a complete solution of paper manufactured to OEM printer specifications. Need it fast? Inquire about our industry leading turn times. Custom roll printing with security inks to prevent receipt fraud, return policies, terms and conditions, variable data, coupons, brand awareness, customer surveys and marketing messages. Stay fraud free with proven security inks.